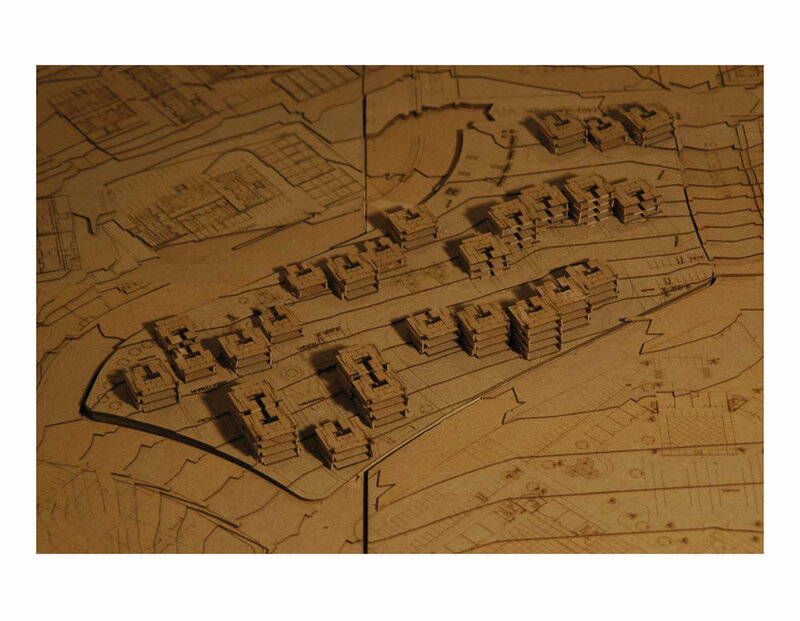 This design studio course explores architecture as cultural practice that structures both the physical and social environment. 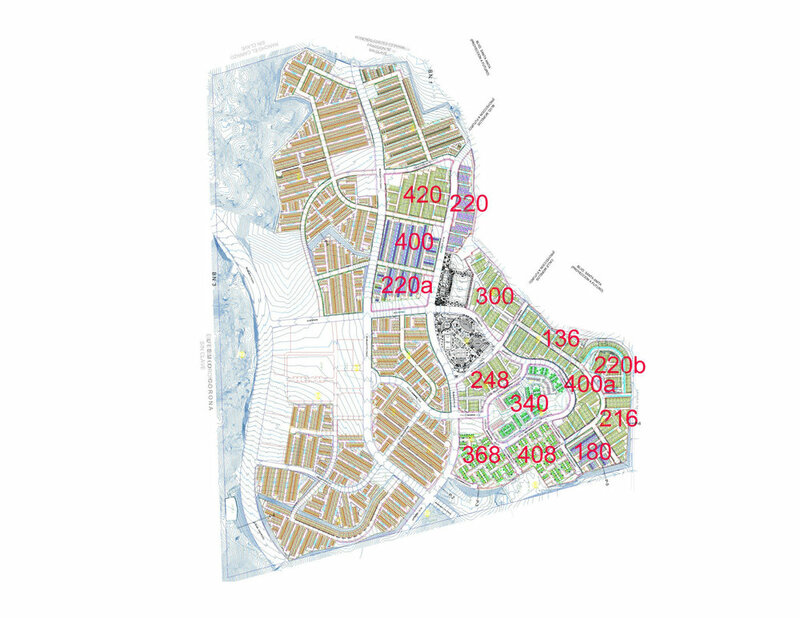 A number of exercises will introduce the student to questions surrounding a wide range of scales of inhabitation, from the scale of the body to that of the campus, city and region. Addressing the inherent material, environmental, cultural and social issues that form these questions is a central concern of the studio. Students can also expect to reach technical competency in a full range of design media, including drawing, model-making, and computer aided design. 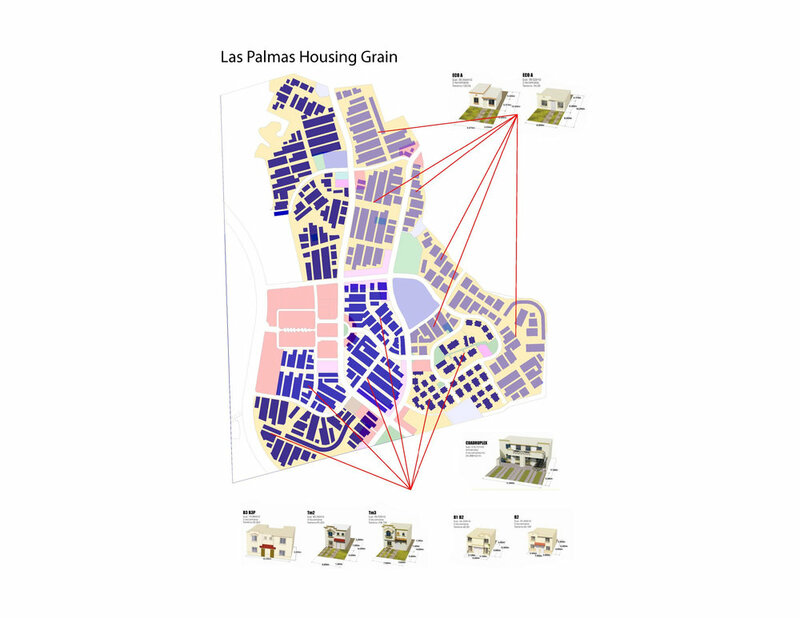 The goal of this design studio is the critical exploration into the inherent material, environmental, cultural and social questions that surround any architectural intervention, in this case the typology of public housing. 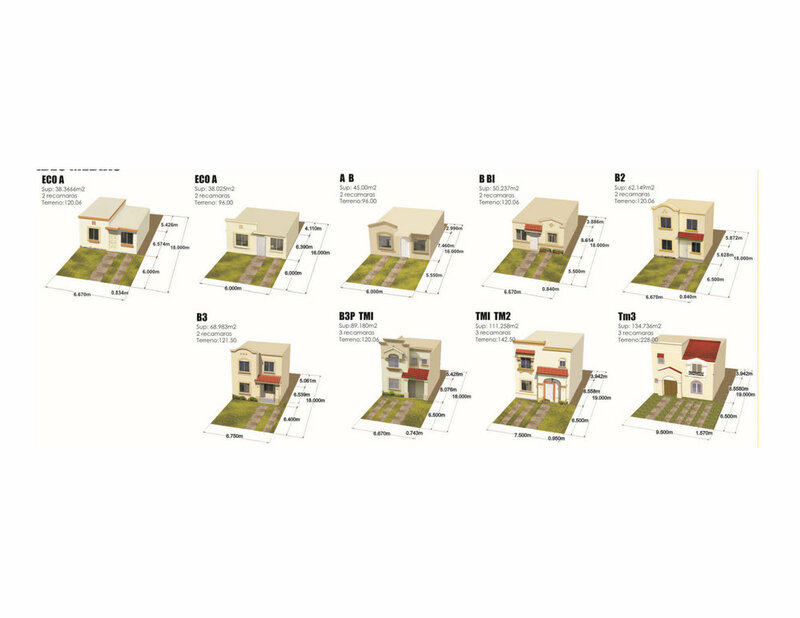 Throughout history, the design and development of public housing has been a fundamental concern for the discipline of architecture. 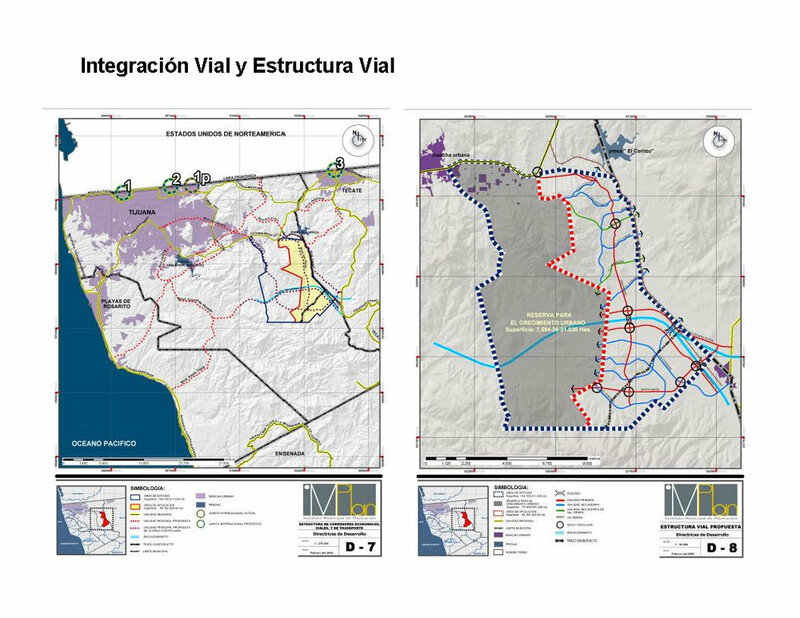 Since 1900, industrialization in all of its phases has led to the migration of vast amounts of the world’s population from the rural to the urban environment. This shift has caused a change in the world’s population that lives in urban areas from 10% in 1900, 50% in 2007, to a projected 75% in 2050. 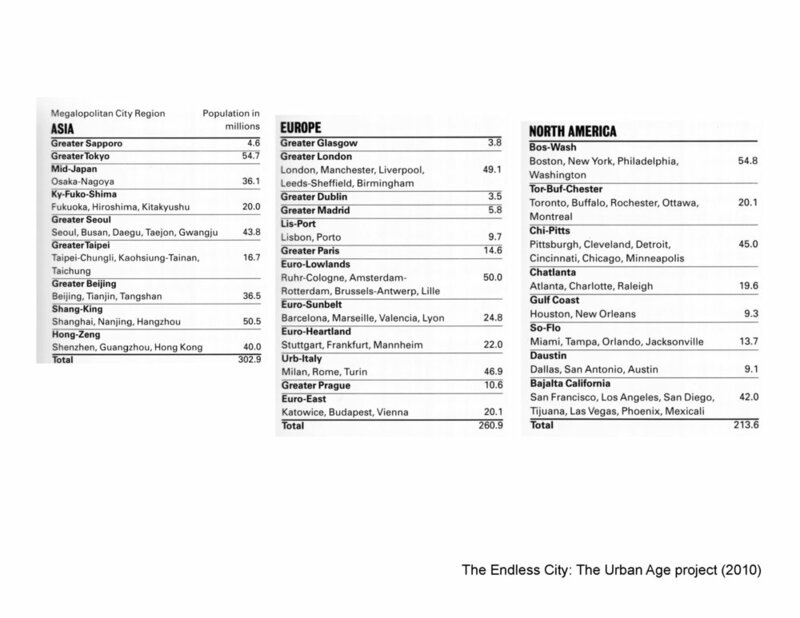 Cities continue to grow at an unprecedented pace giving rise to the ‘Endless City’, or ‘Megalopolitan City Regions’ comprised of multiple cities that form continuous urban and transportation corridors that exceed 10M in population. (Ricky Burdett and Deyan Sudjic Ed., The Endless City, The Urban Age Project by the London School of Economics and Deutsche Bank’s Alfred Herrhausen Society, 2010) In the face of the transformation of the contemporary city into a vast and growing megalopolis, the need for innovation in the design and implementation of public housing has never seemed more urgent and full of potential. 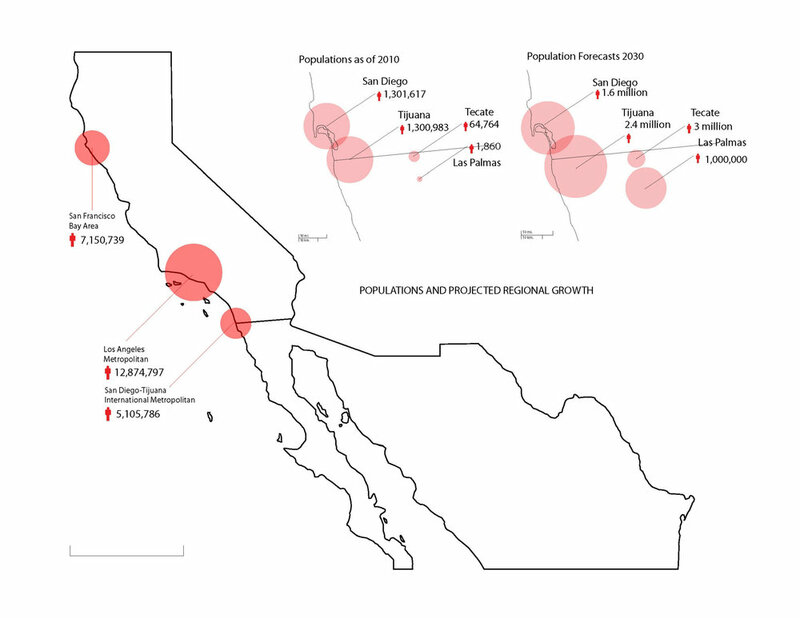 ‘Bajalta California’ is one of these Megalopolitan City Regions, a continuous urbanized area that includes San Francisco, Los Angeles, San Diego, Tijuana, Las Vegas, Phoenix, and Mexicali with a population of over 42 million. 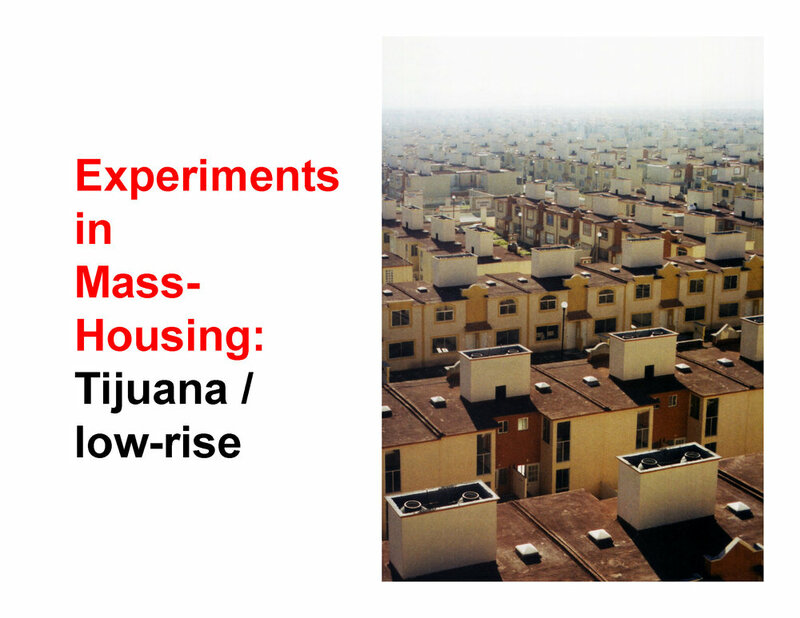 The ongoing staggering growth of the city of Tijuana eastward, until it meets the state boundary with Tecate, becomes an opportunity for this design studio to face the question of public housing as a fundamental building block of the city and its future. 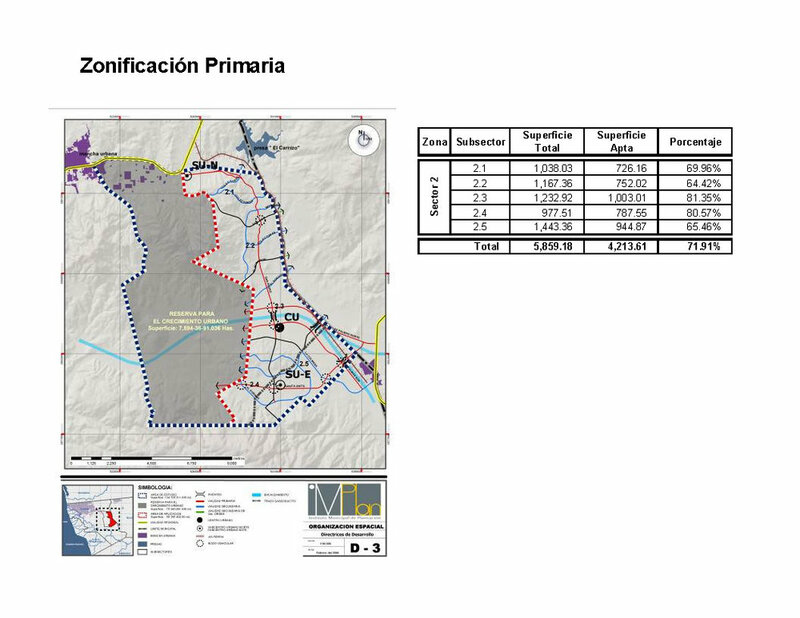 The latest front in this growth is in the San Pedro Valley, a master plan of 7,000 hectares called Las Palmas with a projected population of 1.2 million. 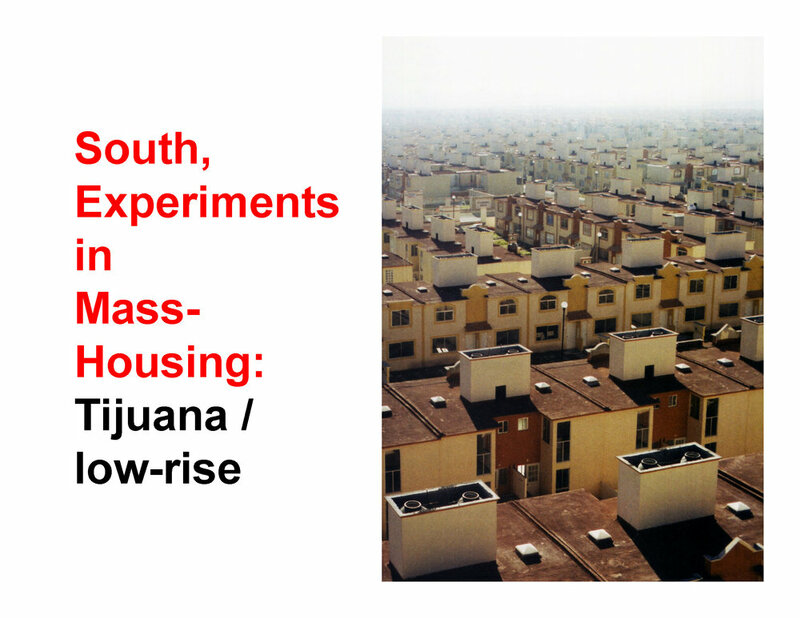 The density characteristic of Tijuana is very high in extension yet low-rise in floor to area ratio, averaging 2-3 stories in height. 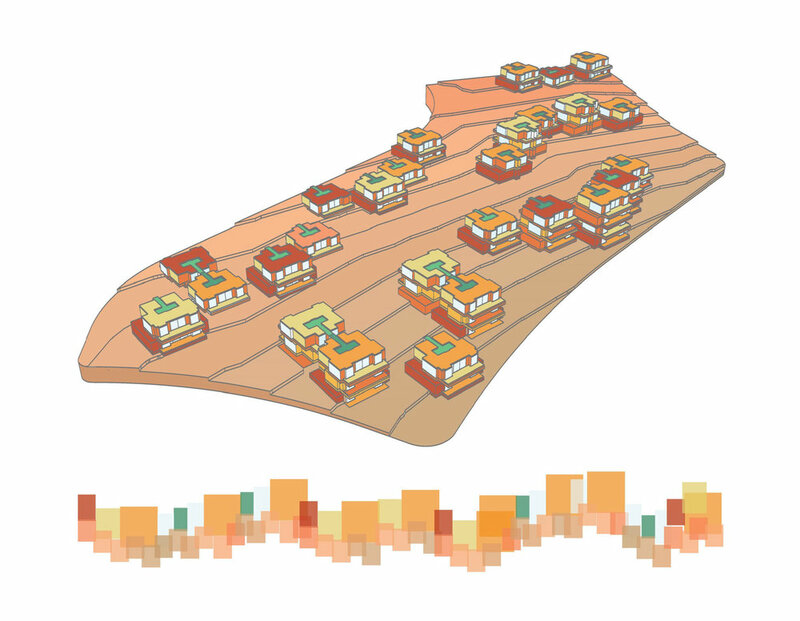 The average development is very densely populated and continuous block formations 2-3 stories high, and hundreds of meters long. 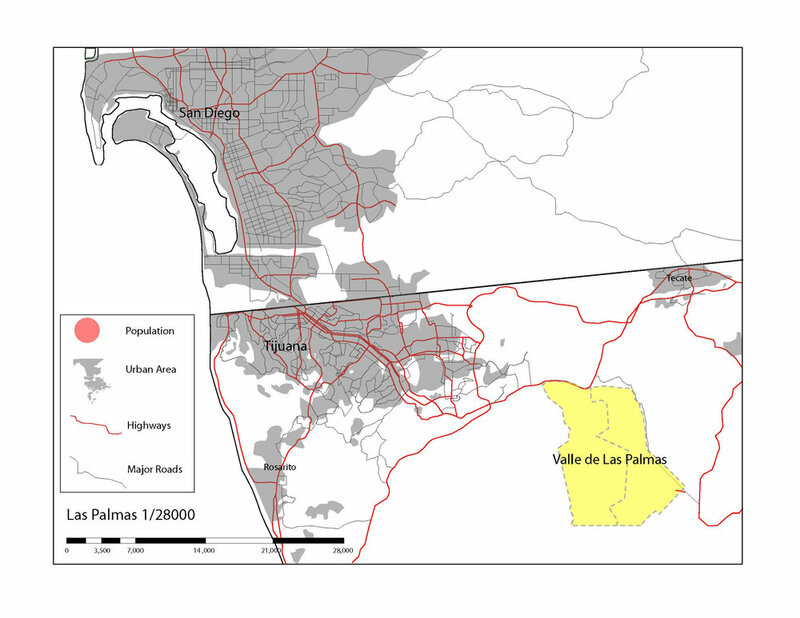 The brief of the studio proposes to study the terms that form the basis for the entire master plan for the Las Palmas project in the San Pedro Valley, study the existing residential typologies that are being proposed, and to test alternative types in a very small sector of the plan, one the size of a single urban block. 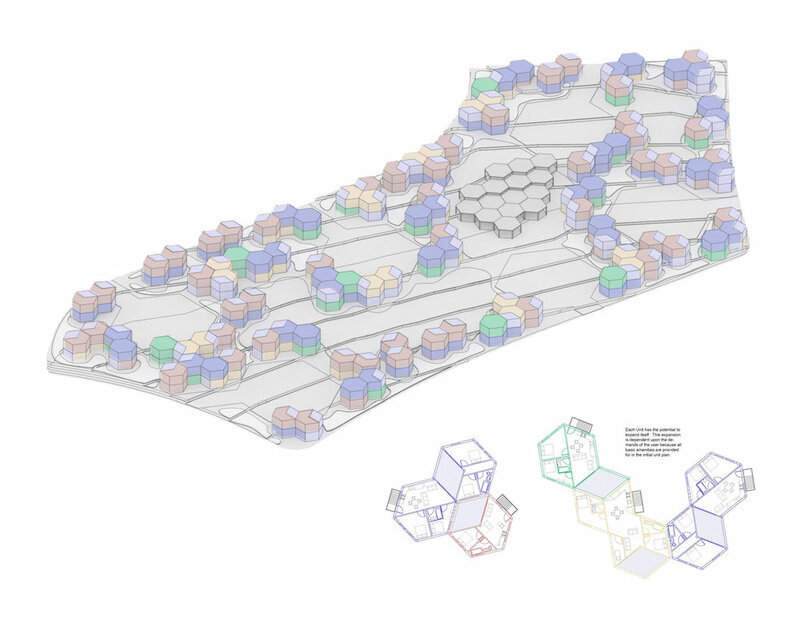 The purpose of the research is to propose designs that integrate the typological intelligence of the types that are being implemented in order to explore their social, cultural and environmental flexibility; finding alternative and more sustainable modes of urban inhabitation from within the scale and terms of the existing project.